Enjoy convenience all day long. Get around town in a spacious car of your own. 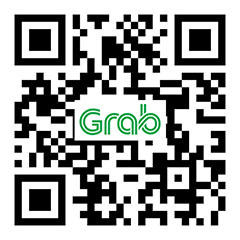 Rent a GrabCar along with a driver, for up to 12 hours, at competitive rates. Whether you’d like to visit attraction spots, go on a food tour, run business errands, or simply roam around, we’re at your service. No advance booking needed. The pilot of this service is available in Klang Valley and Kota Kinabalu currently. 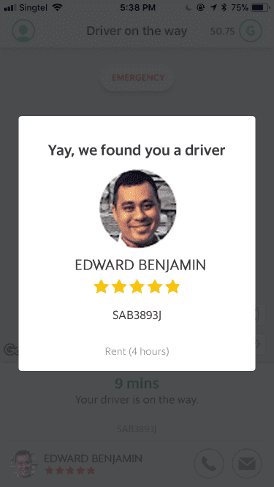 Rent your own car with a dedicated driver now, and have a good time on all your trips! 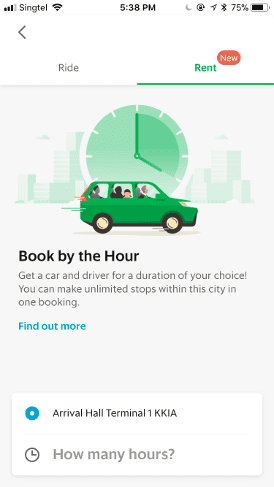 Rent a GrabCar and make day trips within the city easier. Book your ride instantly when you need it and your car will arrive within minutes. Choose from a wide range of hourly packages to suit your needs. Know the exact fare even before you book your ride. Fares are inclusive of fuel and driver charges, excluding toll charges and parking. All hourly packages are priced comparable to market rates. Tap Rent and enter pick-up destination. Your GrabCar driver will pick you up shortly. 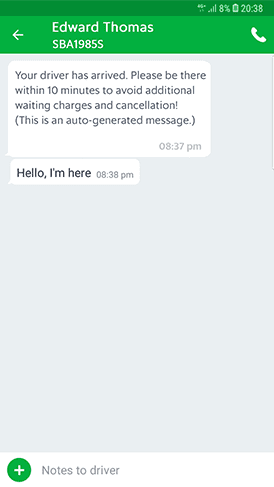 Contact your driver easily with the in-app chat anytime. Both cash and cashless payment methods are accepted. How many passengers are allowed in one vehicle? You can have up to 6 passengers per vehicle, or 4 passengers if you have a few luggages. How long can I extend my booking? Extension beyond the booking period would depend on the discretion of the driver. 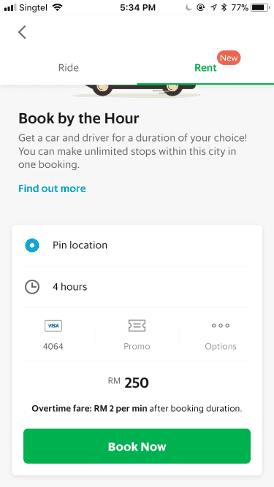 If agreed by the driver, you can extend your booking with additional overtime charges of RM3.00 per minute in Klang Valley and RM2.00 per minute in Kota Kinabalu. 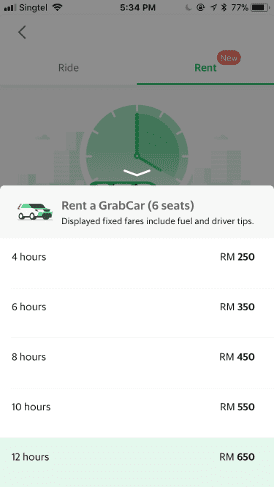 Where can I travel to when renting a GrabCar? Do all drivers speak English? While some drivers may speak English, it is not a prerequisite for drivers to be able to accept rides. We cannot assure that the driver assigned to you would be able to speak English. Will my driver be able to serve as a tourist guide? Although some drivers may have knowledge of various places in the city, they are not trained tourist guides. We would recommend you have your itinerary planned and researched if you are taking the car for tourism purposes.